A clean summer - thank you all for helping! THANK YOU all dear guests for helping us clean our beautiful area of Iceland whilst you joined us for an ecofriendly tour this summer. We here at Go West see ourselves as wardens and guardians of the area of Iceland in which we operate. Officially we help clean the strand of coastline under Arnarstapi and into Snæfellsjökull National park. 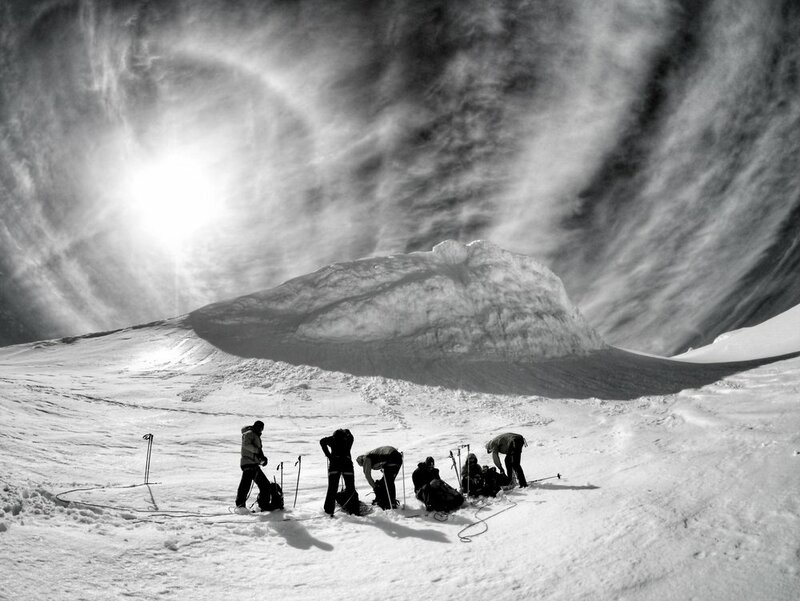 Unofficially we clean and protect wherever we hike or bike, whether it be down on the coast or right on top of the mighty Snæfellsjökull Glacier Summit. 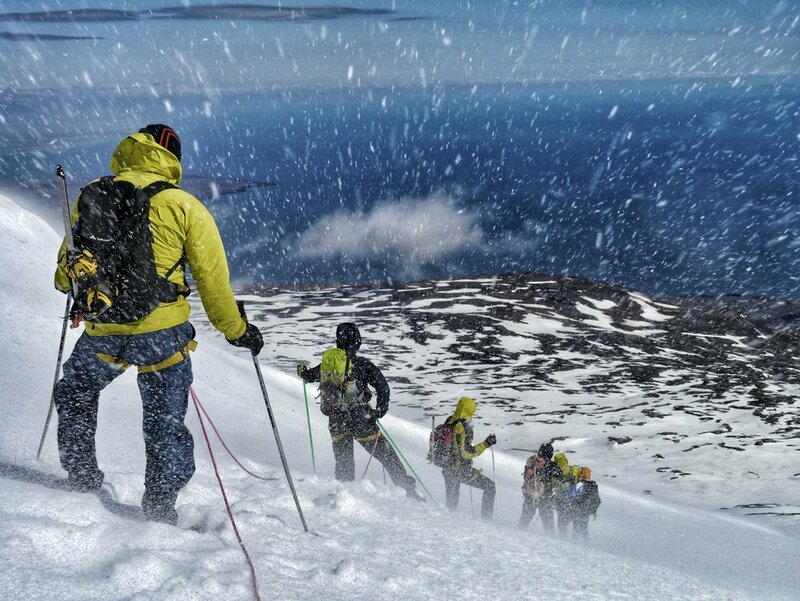 We work closely together with the Outstanding Snæfellsjökull Park Rangers in an effort to maintain the beauty of the area in which we operate. Luckily for us Icelanders, we don´t have to do this alone. On our summer tours, when a lot of the snow has melted, trash is exposed and seeing this our guests spring into action alongside us. On a tour we help to educate our guests on the importance of ecotourism, sustainable ideals and protecting nature. Taking these messages to heart, ON THEIR HOLIDAYS, our guests choose to fill their arms with any trash they might find and help us keep Snæfellsnes pristine. It is all of this kind effort, however small the impact may feel at the time, that helps to protect Iceland and the rest of our world. Again, thank you guests from all over the world, for helping us keep our small island nation beautiful. We had a wonderful family join us on our new secrets of Snæfellsnes lava hike. They got to ecplore both above and below our spectacular cliffs, really giving them an insight into the secret geological history of the snaefellsnes peninsula. We drank water filtered through the lava pouring out hte cliff bottom, ate some chocolaty treats, saw seals and cute little puffins and even did some beach cleaning along the way. As a company focusing on ecotourism and protecting our wonderful iceland we try our very best to keep our area clean and it is fantastic when our guests join in too. Have a look at just a couple of the photos from that day and click the link below to see our other tours on offer. Midnight Snæfellsjökull Glacier Hike for two! 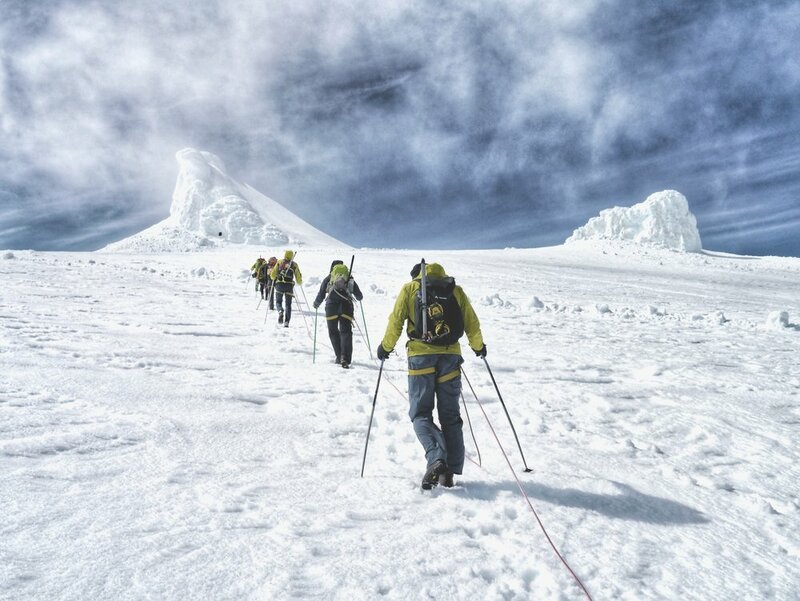 Our favourite hikes are always the midnight sun summer glacier hikes up Snæfellsjökull! We had such an awesome time with this father and son duo, climbing in beautiful light up onto the glacier with amazing views over the surrounding Snaefellsnes National Park. If you would like to join us too and experience a glacier tour up to the mighty Snafellsjokull then have a look at the link below! We took our friend and renowned Icelandic Geologist to check out the incredible Geology on our new hiking route and he was absolutely amazed! So amazed in fact that he wants to take other academics down there to show them this unique spot. Do you want to explore the lava of Snæfellsnes with us? 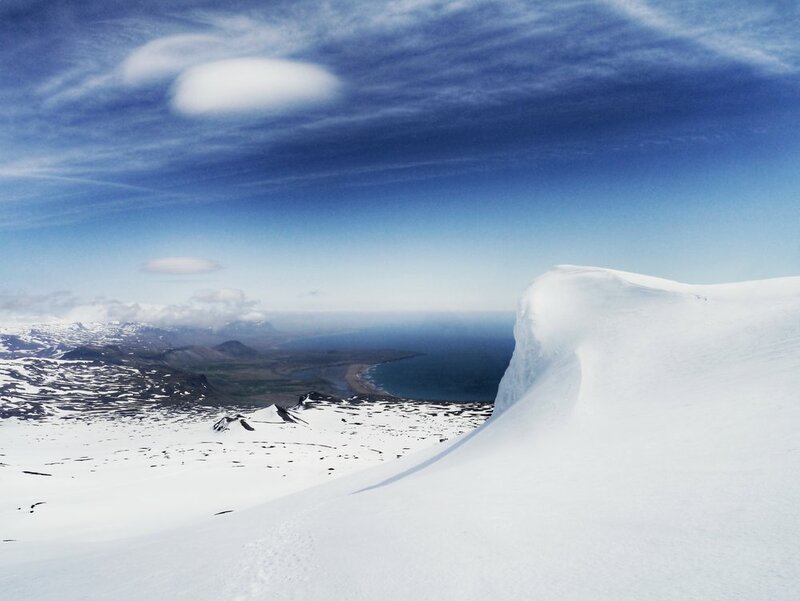 The feeling you get when you reach the summit of Snæfellsjökull on one of our glacier hikes is incredible, especially on a sunny day when you are treated to incredible views over the entire Snæfellsnes peninsula. Just have a look at our guest Alain here, who could not of had a bigger smile at the top! 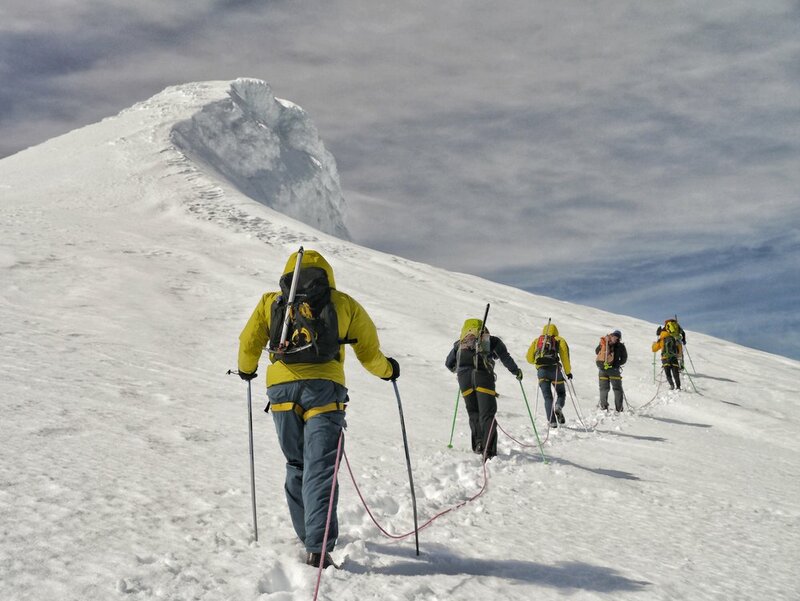 Recently we recieved the Gold-class Vakinn environmental award here in Iceland and to celebrate we offered a special reduced priced glacier hike to the summit of Snæfellsjökull. The weather was fantastic and Guillaume and Audrey were super excited to feature on the front of the local newspaper with us after our celebration hike to the top of Snæfellsjökull!